Calling all makers! 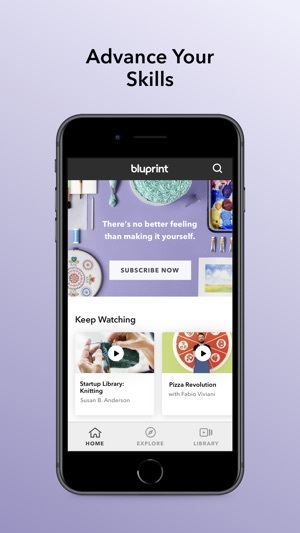 The Bluprint app delivers on-demand inspiration, learning and just-for-fun entertainment in all your favorite creative activities. We’ve lined up everything you need to start — and succeed! — on a new creative kick. Watch a few lessons, then get busy making. And if you hit a snag, we’re here to help. Dive deeper into a craft you already love with a new technique or fresh approach, whether you have two minutes or two hours. Tune in for in-depth, step-by-step guidance to help you get any project across the finish line. And if you’re looking for inspiration on what to make next, we’ve got plenty of that, too. Kick back, relax and get inspired with dozens of exclusive-to-Bluprint series all about creativity. 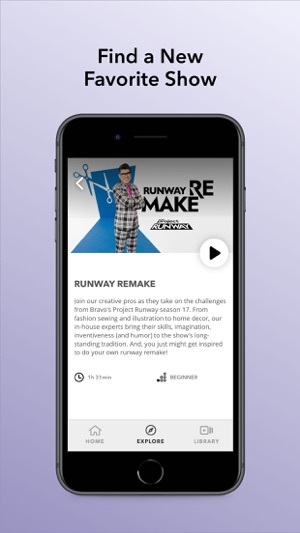 Download the app now and get a FREE 24 hour sneak peek - no credit card required! Payment will be charged to your iTunes Account at confirmation of purchase, after any applicable trial period has ended. Your subscription automatically renews unless auto-renew is turned off at least 24-hours before the end of the current period. Account will be charged for renewal within 24-hours prior to the end of the current period, and identify the cost of the renewal. Subscriptions may be managed by the user and auto-renewal may be turned off by going to the user's Account Settings after purchase. No cancellation of the current subscription is allowed during active subscription period. Please be on the lookout for a major feature update in the near future. We're doing some exciting stuff. It doesn’t sync with other devices so if you switch from watching on your computer to watching on the app. It starts from the beginning. You need to remember where you were and manually go there. It’s also slow to respond - long enough that you might keep touching icons. When it finally responds, you end up going past where you wanted to be. After watching for an hour or so, the buttons become unresponsive. I was trying to hide the chapter display to get a full screen experience. Instead I managed to make the video smaller with a big chunk of the screen displaying nothing. And the maximize button no longer worked ... if it ever did. This is when I realized there’s no link to tech support or any kind of help from within the app. There may not have been one in the old Craftsy app either, but guess what? I didn’t need it because the app worked. I prefer to watch from my tablet while trying to follow along with the craft. This app makes that frustrating. A poor experience overall. Hi Sara - There is a Help link within the Profile page under Library which will link you to our main Bluprint help site. We have also just made a fix for the issue you're encountering with the video starting from the beginning, please be on the lookout for an update this week that directly address that and the fullscreen issues which the community have written about. Our apologies for these issues being out there, but we are working to have them and any other issues reported, fixed with haste. They say “rebuilt from the ground up,” likes it’s a good thing. They took a good thing and completely broke it. I see no upside at all to this app. There’s nothing I’ve found yet in this app that I wished for in the other, though I can’t say I have spent that much time in it because it’s so unpleasant to use. The video won’t maximize no matter how many times I tap the button. I tried changing my iPad orientation, starting a different class, closing and reopening the app. Finally, I uninstalled and reinstalled the app. That worked until I touched the screen and then I was right back where I started. It doesn’t remember where you left off and always starts you at the beginning of the class. All the participant/instructor conversations and any notes you might have taken are gone. Given that the primary function of the app is to watch videos, this is a big fail. I subscribed to enrich my hobbies and it instead frustrates them. The Ap is a mess! 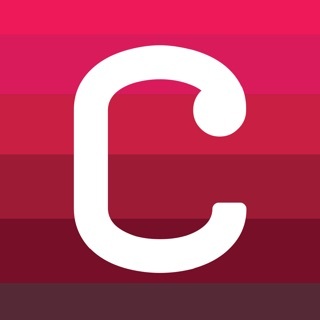 I have been on Craftsy for many years and purchased more than 40 classes. I recently started watching one of my Craftsy forever classes and was unable to open the materials section. I finally was able to get the Bluprint folks to email it to me, not something I want to do for every class I have purchased from Craftsy. I also can’t find a tab for comments or uploading photos but it probably wouldn’t work- like the materials tab. I noticed in one of the responses to a prior disgruntled reviewer the developer noted that “class materials are presently restricted to members holding a subscription “. So much for total access to your lifetime classes! I was planning to subscribe but the site is so poorly run that I wouldn’t be surprised to find Bluprint shut down. No, I would not recommend Bluprint to an enemy unless I wanted to make them insane. Hopefully they’ll get s#*t worked out but it sure is taking them a long time. Hi Grannygrle - The comment regarding materials being available to subscription holders doesn't apply to Owned Forever classes. If you're a member who has Owned classes but aren't a subscriber, you do have access to your materials within each of those classes. Please check now that this is the case. We did fix a bug where materials on Owned classes were not appearing for these members. If you still have problems accessing all materials for your owned classes, please let us know so we can dig more into the cause. Class discussions are not presently in the app because we are working on a way to make these a better experience for the community. We are working on a solution for this so please be on the lookout in the future. 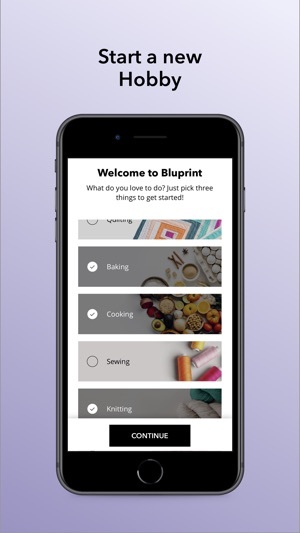 Meanwhile please know we are actively working on the app to bring new features and make improvements to the Bluprint experience. 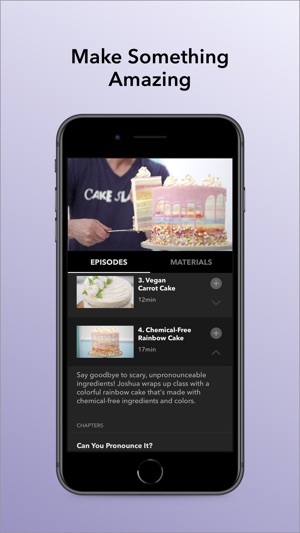 Our next update will bring Offline viewing, owned forever pattern access, improved owned forever class layout, and plenty of improvements to the app.